After an eventful Test match in Hamilton, which saw as many as six centurions, the action now moves to another high-scoring venue as New Zealand look to wrap the series against Bangladesh in the second Test. Injuries have derailed the Bangladeshis with two of their best batsmen out with injuries yet that hasn't put them down as they fought back with Soumya Sarkar and Mahmudullah leading the way. With Wellington set to put forth a belter, another high-scoring test is on the cards for both sides who look for nothing but a win come Friday. Kane Williamson (C), Ross Taylor, Tom Latham, Jeet Raval, Henry Nicholls, BJ Watling, Colin de Grandhomme, Tim Southee, Todd Astle, Neil Wagner, Trent Boult, Matt Henry, and Will Young. No changes are expected of New Zealand after an emphatic innings win in the first Test. Their top three of Latham, Raval, and Williamson all scored big hundreds to derail the Bangladeshi bowling unit and with the likes of Ross Taylor and Henry Nicholls in the middle order, Bangladesh could be set for another long test. Boult and Southee will be key as quick wickets are essential in Wellington, to set the tone for the rest of the match. Possible XI: Raval, Latham, Williamson (C), Taylor, Nicholls, Watling(WK), de Grandhomme, Astle, Southee, Wagner, and Boult. In spite of several injury concerns, Bangladesh were able to compete with the Kiwis for the better part of the first Test. In spite of three of their players scoring hundreds, Bangladesh ended up losing the test indicating a lack of team-work. Wickets and collective efforts are key for Bangladesh as they look to do the improbable and beat NZ in their own backyard. Mushfiqur Rahim isn't cleared as of now and could miss out once again while Mustafizur should come in for one of Khaled or Abu Jayed. Possible XI: Tamim, Shadman, Mominul, Mithun, Sarkar, Mahmudullah (C), Liton (WK), Mehidy, Mustafizur, Ebadat, and Abu Jayed/Khaled. The last Test played at this venue saw a mammoth partnership between Mathews and Mendis draw the match for Sri Lanka, indicating at another high scoring test match. Bowlers are set to find it tough with bouncers and variations set to play a far more prominent role with Neil Wagner already setting the tone in Hamilton with his sharp bouncers. Wicket-keeper: Liton Das is the preferred keeper over Kiwi, BJ Watling, considering the depth and strength of the NZ batting unit. In all likelihood, Liton Das and Bangladesh are sure to bat twice in the Test which makes him the better option over BJ Watling. Batsmen: The big three of NZ cricket, Latham, Williamson, and Taylor are the preferred batsmen for New Zealand while Soumya Sarkar and Mominul Haque are handy options to have in the side as well. Sarkar is in good form with the bat and is sure to roll his arm over as well with his medium pace being an outlet for a wicket or two for Bangladesh. All-rounders: Mahmudullah Riyad and Colin de Grandhomme are the ideal players to have in the side with both of them contributing with runs and wickets in the previous Test. The likes of Mehidy Hasan and Todd Astle are also good options and can also be chosen if a spinner is required. 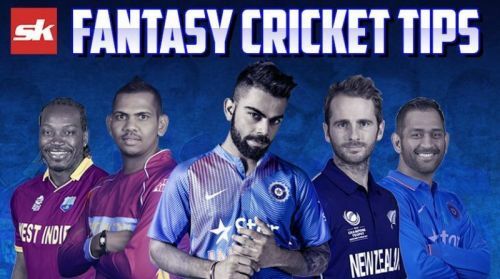 Bowlers: Two of Southee, Boult, and Wagner are crucial to the fantasy eleven while Mustafizur Rahman should prove to be a worthwhile option if included in the playing XI. All of them are capable of inflicting damage with their pace and swing, making them great assets to the fantasy team. Captain: Kane Williamson is on the verge of being ranked the number one batsmen in the Test format and should be backed to put in another master-class against a hapless Bangladesh bowling unit while the likes of Tom Latham and Trent Boult are also good options to elect as captain.